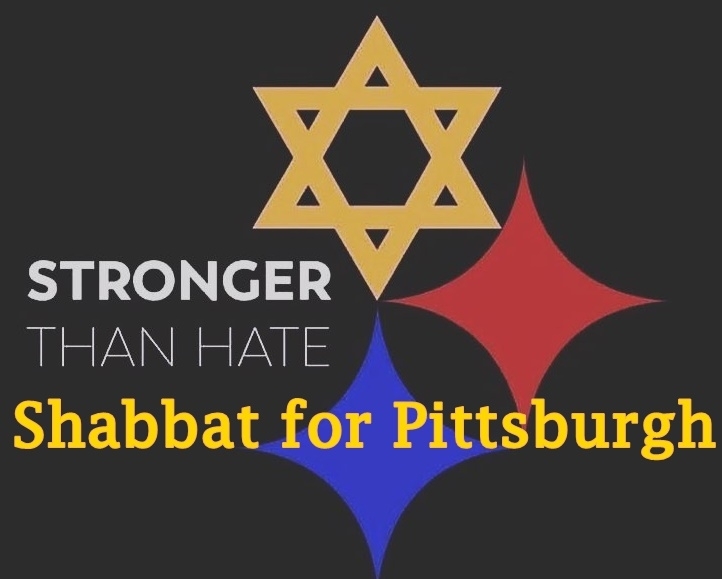 Join us this Saturday morning at Chabad of Sudbury for our Shabbat services that will be held in Solidarity with the Pittsburgh Jewish Community. Consider walking to Synagogue this Shabbat with your Kippah proudly displayed and join us for all or part of the service as we come together as a community and strengthen each other. Services begin at 10am and end at 12:15am and are followed by a Kiddush Luncheon where we will share messages of support. No RSVP Required, but helpful for planning purposes. Friday Night Shabbat with your Family - Make the time this Friday evening to mark Shabbat, by lighting candles if you can at around 5:19pm or making Kiddush and welcoming in the special day of rest, enjoying Challah, and having a short discussion on why being Jewish is important to you as a family. Consider taking on an extra Mitzvah in memory of the deceased victims. Be it extra charity, helping a neighbor, reaching out to someone, putting up a Mezuzah, lighting Shabbat Candles (5:19pm in Sudbury this weekend) or anything else.